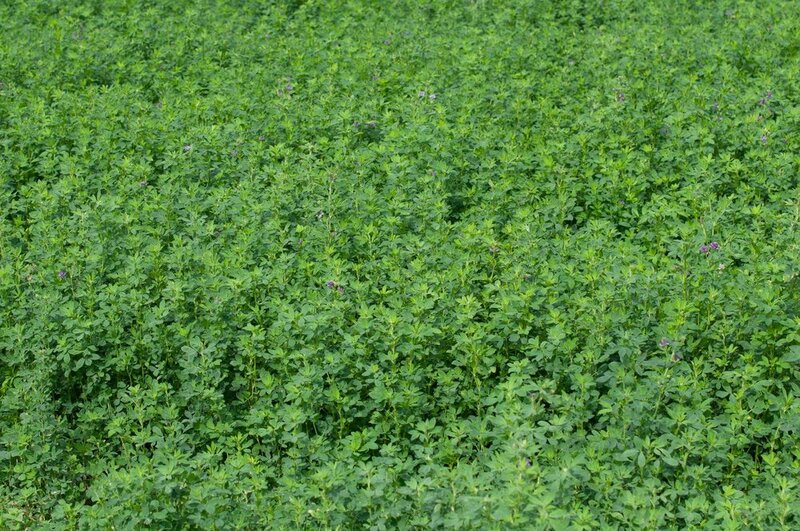 Alfalfa is a cool season, perennial legume that is grown in almost every state in the U.S. Very cold tolerant and has the highest feeding value of all hay crops. Alfalfa is consumed by both turkey and deer. It is a reoccurring annual that should be planted in cooler months, usually between September and December, depending on location.